Have you seen those pictures online where someone is announcing their pregnancy, their wedding, a birthday, a special event, a menu, etc? 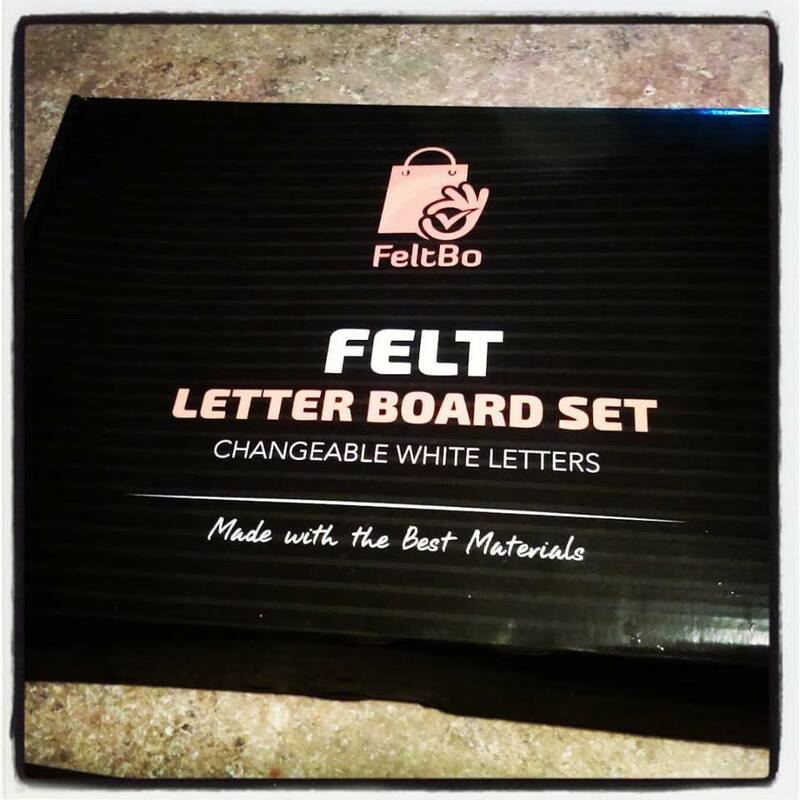 Don't many of them use some sort of fancy announcement board? I received one not too long ago, and guess what? I think it's great for all of those things that I just mentioned, but I get the most use out of it teaching my little one how to read and count. Yes, you can use it for that too!! 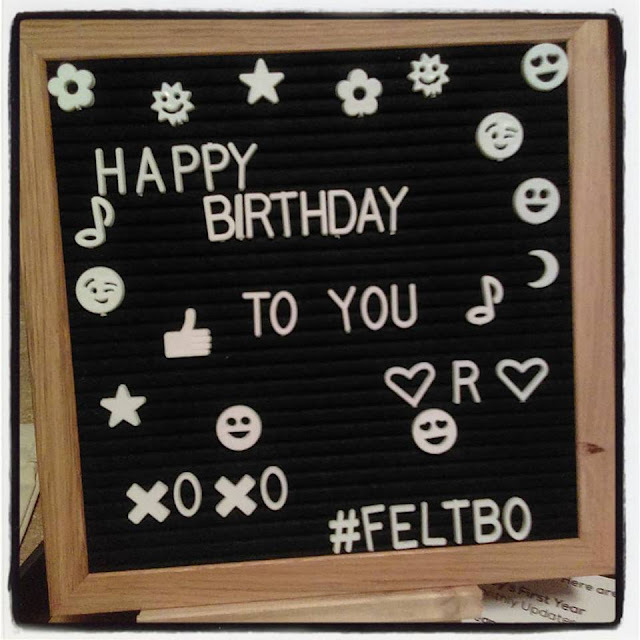 My new #feltbo black felt letter board included the board that can either be placed on the sturdy little easel it comes with, or even hung on a wall like a picture. 300 white plastic letters, numbers, emojis, and symbols come with. There are also little scissors included, to cut them out. There is a storage pouch to keep them all in, when not in use. The little letters, numbers, and whatnot stick on the board by the little pegs on their backs. You slip those into the grooves on the board and they stay put. 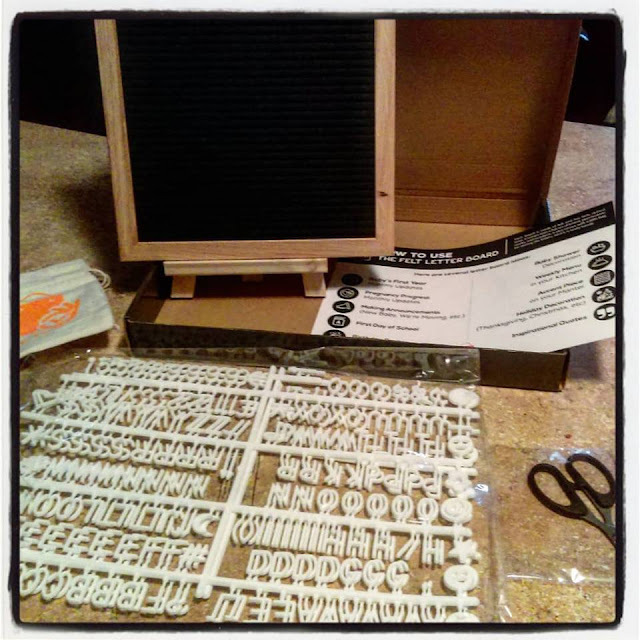 I did say that I use this as a learning tool for my daughter, but the pieces are fairly small, so I always make sure to keep a close eye and never leave her alone with it. I love that she enjoys learning new words and bigger numbers with it! I do plan on using it in future photos with my family. My husband actually used it on my birthday last month. He left a cute little message for me!